Oh, my. What a cute bird, and I love how you blended your rainbow so beautifully. Thanks so much for playing along at CASology this week. Oh, this is so cute!! 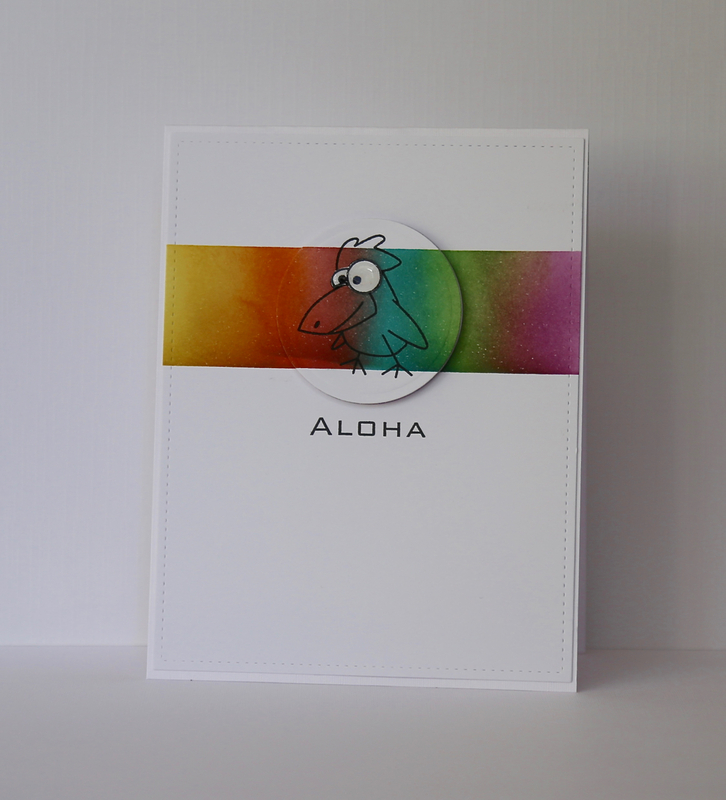 Love your rainbow strip with the fun surprise :-) Thanks for playing along with us at The Card Concept- hugs and have a blessed week! That little bird is a hoot!! Cute card Claire! Adorable! I love the gorgeous wash of rainbow color and that little bird is the cutest! Thanks for playing along with us over at The Card Concept this week! Oh, wow! This is so fun! Very creative and I love the colorful strip!